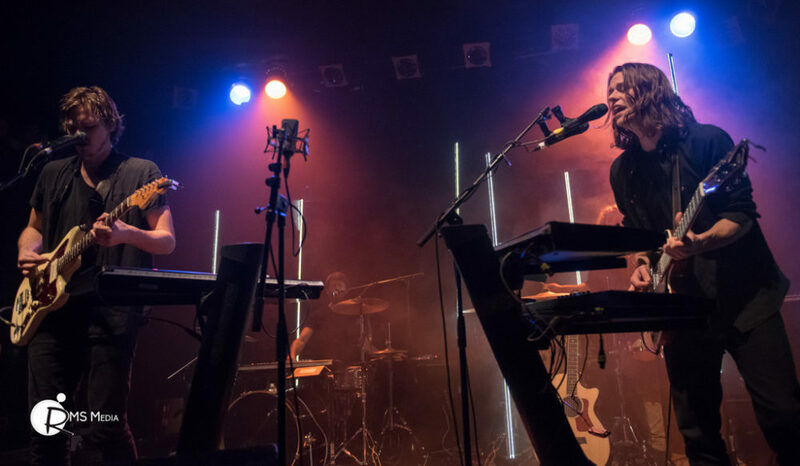 A Sold-Out Sugar Nightclub welcomed Montréal-based indie rock four-piece Half Moon Run on their opening night of their Canadian tour. Yes it was a Monday night, but the fine folks in the line-up that snaked from Sugar all the way down Yates Street to Blanshard didn’t seem to mind at all. If you were lucky enough to get a ticket, it was a one in a lifetime chance to see HMR at an intimate Venue like Sugar. I suspect the next time we see Half Moon Run in Victoria, it will be an arena setting. Folly & the Hunter opened the show to a great response, even with the monitor and audio troubles. Next up was Half Moon Run, who completely blew the room away. The energy from the crowd and the band was amazing. I wasn’t just your average rainy Monday Night in Victoria.